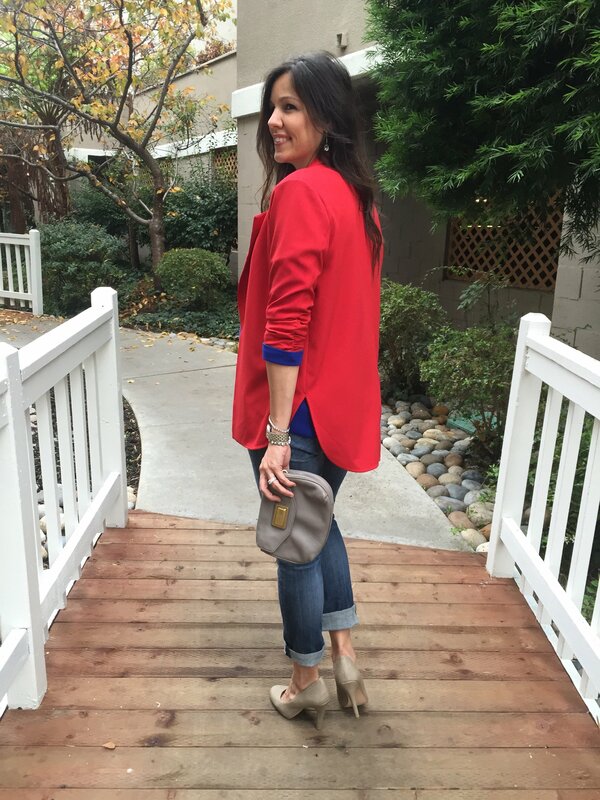 With all of the holiday happenings going on this month there is a need for plenty of outfits. I am prepping for our trip back to KC next week and am going to need several looks to get me through all of the events, lunches and get together’s. 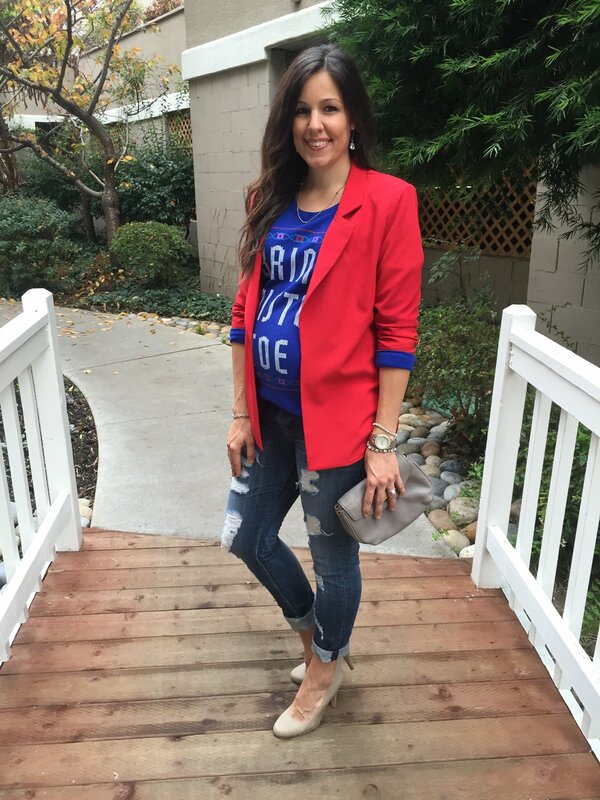 A blazer is a closet staple and this red one from Harlowe & Graham is going to get a lot of use this holiday season! The first look is for a dressier occasion. 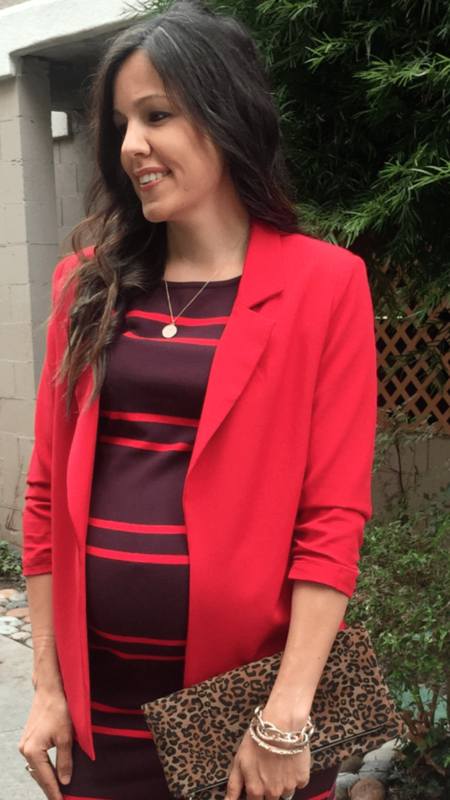 I paired the blazer with a great knee-length dress and pumps. 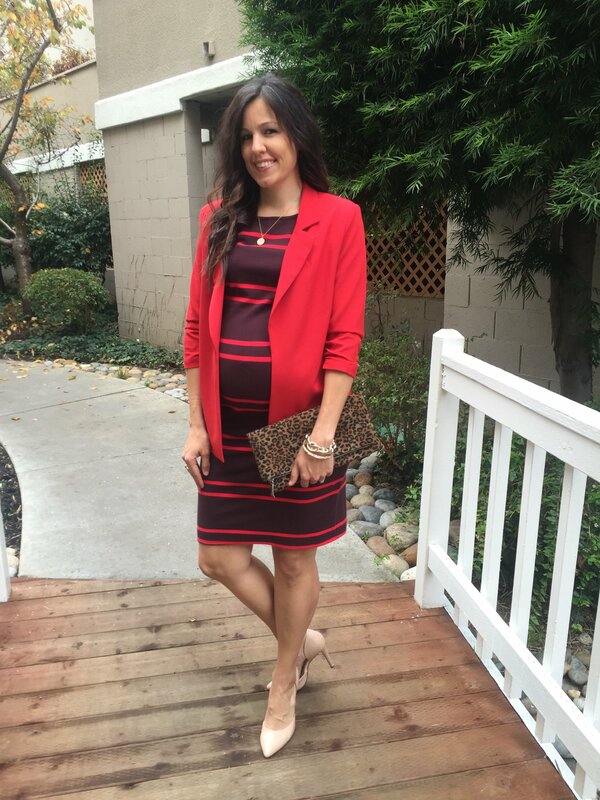 This dress is great because it’s actually non-maternity so I can wear it again even after baby comes! The Second look is for the more casual party. 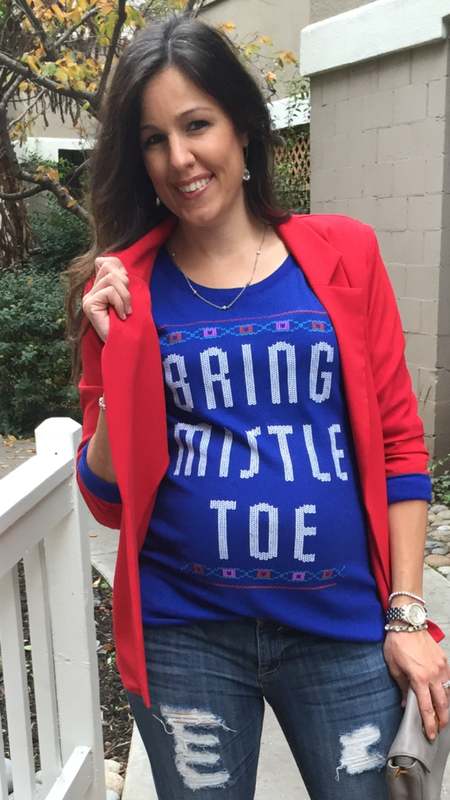 Pairing it with a fun, festive holiday shirt and distressed boyfriend jeans. 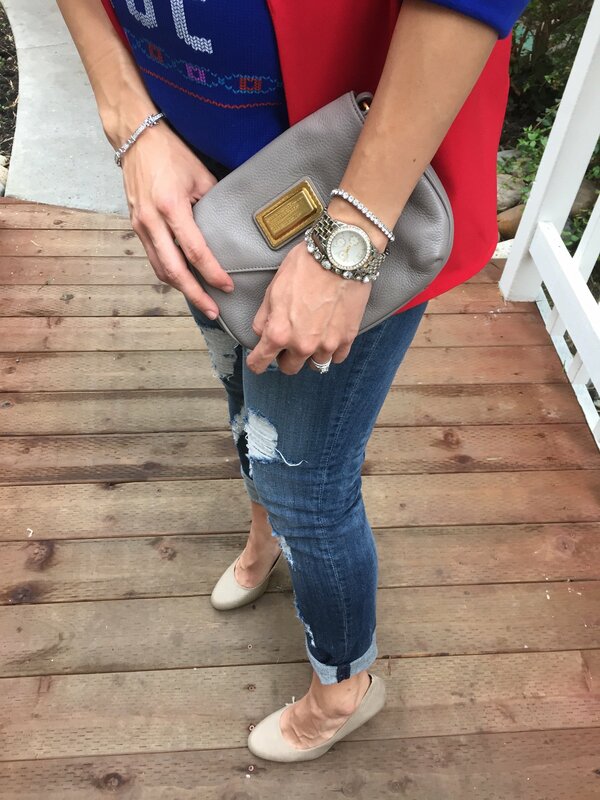 The pumps and and sparkly jewelry dresses it up enough to keep you from looking too casual or sloppy.